Styrofoam Out of Schools/ Cafeteria Culture (SOS/CaCu) is working to achieve “zero waste” cafeterias in NYC’s public schools by first eliminating the use of Styrofoam (polystyrene) lunch trays. We advocate a Reduce Policy on all single use disposables and promote reuse, reduction and recycling. We accomplish this urgently needed work via alternative messaging, interdisciplinary education, collaboration, and innovative community and design-based advocacy. 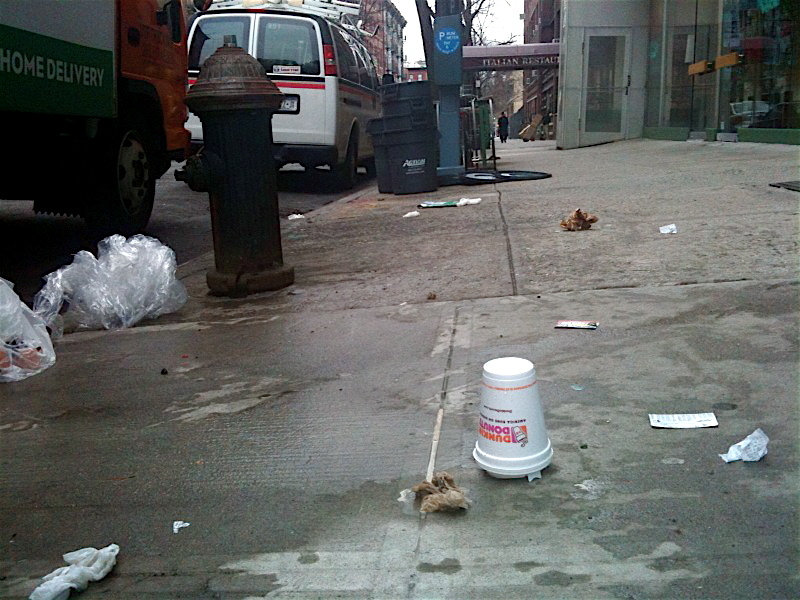 This entry was posted in curbisde and tagged litter, street-trash, Styrofoam Cup. Bookmark the permalink.